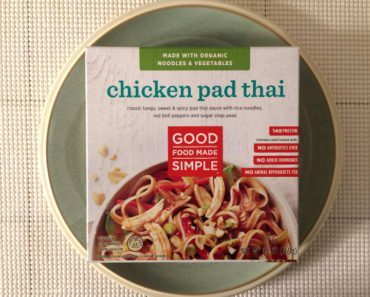 Sometimes, we swear we’ve never reviewed something, and when we get it home we remember that it’s something we’ve tried before. That was the case with the Good Food Made Simple Uncured Bacon Breakfast Burrito. It’s easy to see how we were confused about this one. 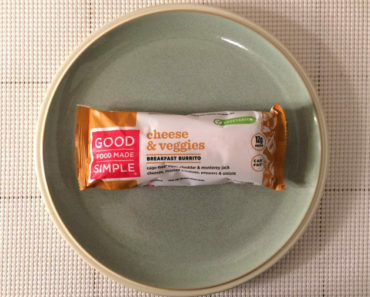 Good Food Made Simple also makes an Uncured Bacon Breakfast Burrito, which we did review a while back. Plus, they changed the packaging for this Canadian bacon burrito, so it might look unfamiliar to those who haven’t had it in a while. 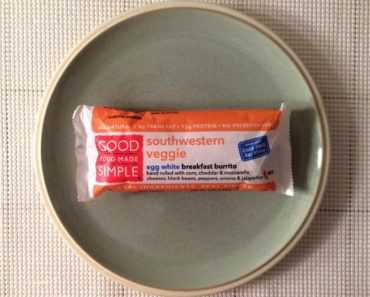 So the Good Food Made Simple Uncured Bacon Breakfast Burrito isn’t new to us. However, since the packaging was changed, we thought this would be a perfectly fine time to give this one a second taste. 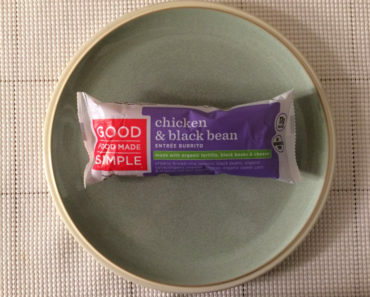 In the past, we’ve described some of Good Food Made Simple’s burrito filling as “creamy.” We can’t really use that word here, as this has a consistency that’s a bit drier and starchier than many of its siblings. That’s due in part to the roasted russet potatoes inside, which give this a hearty feel and make it a little more filling than it would be otherwise. This is still no belly-buster, though, and you’ll probably need to eat it with a side in order for it to fill you up. The flavor is great. A lot of that is because of the blend of peppers. Inside, you’ll find green peppers, red peppers, and jalapeno peppers. It’s a real peppery mix! The Canadian bacon is actually pretty rare in this burrito. We only found a few pieces of it. That’s not necessarily a bad thing, as that certainly isn’t the best part of this meal. We actually found the Canadian bacon bits to be a bit gristly — a quality we’re not fond of when we find it inside a breakfast burrito. The wheat tortilla tastes incredible. Many times, the tortilla is just a shell that keeps the whole thing together. Here, it’s an essential part of the flavor. 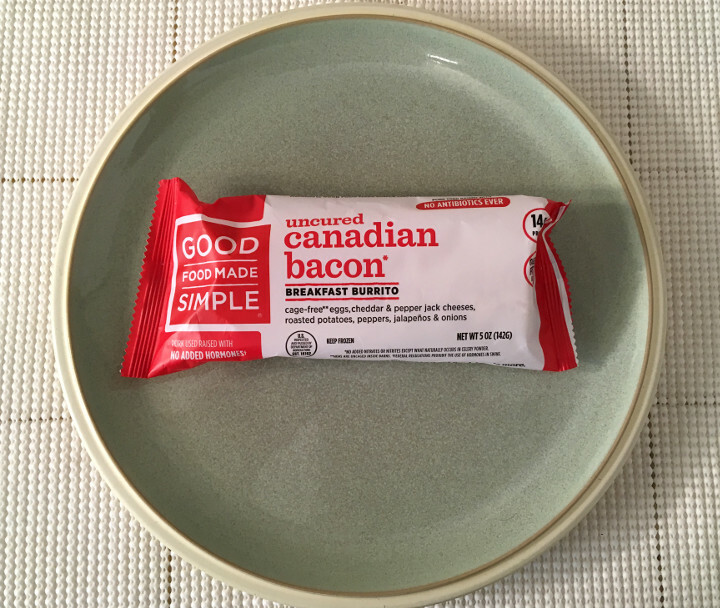 The Good Food Made Simple Uncured Bacon Breakfast Burrito is a wonderful thing to have on hand if you want to start your morning off right. 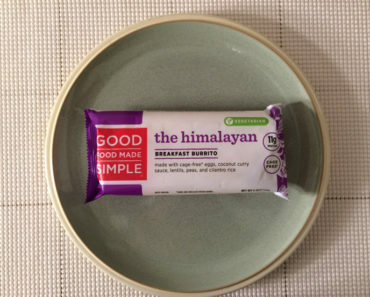 We really enjoy this breakfast burrito, no matter how many times we try it. 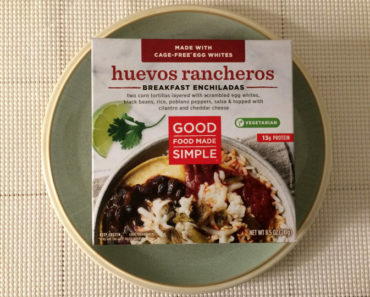 To learn more about the nutrition content or ingredients in this Good Food Made Simple breakfast burrito, check out our package scans below.